Floyd's ninth collection of poems, Far West, is forthcoming from LSU Press in Fall, 2019. His writing has appeared in The New York Times Magazine, Atlantic Monthly, Harper's, Poetry, Georgia Review, Sewanee Review, Southern Review, Hudson Review, Gettysburg Review, Boulevard, Virginia Quarterly Review, Prairie Schooner, and Creative Nonfiction. His nineteen books include the memoirs In the Shadow of Memory (University of Nebraska Press, 2003), A World of Light (University of Nebraska Press, 2005), The Wink of the Zenith: The Shaping of a Writer's Life (University of Nebraska Press, 2008), and Revertigo: An Off-Kilter Memoir (University of Wisconsin Press, 2014); the poetry collections The End of Dreams (Louisiana State University Press, 2006), The Snow's Music (Louisiana State University Press, 2008), and Approaching Winter (Louisiana State University Press, 2015; and the novels Summer Blue (Story Line Press, 1994) and Patient 002 (Rager Media, 2007). He has contributed book reviews to the New York Times Book Review, Boston Globe, Harvard Review, Sewanee Review, and many other publications. He lives in Portland, Oregon, with his wife, Beverly Hallberg. Floyd's daughter, Rebecca Skloot, is the bestselling author of The Immortal Life of Henrietta Lacks (Crown Books, 2010). 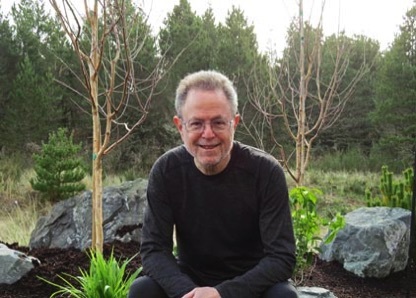 Floyd Skloot is a poet, creative nonfiction writer, and novelist whose work has won three Pushcart Prizes, a Pen USA Literary Award, two Pacific NW Book Awards, and two Oregon Book Awards.